Goetz's "capacity for friendship and his charity" had made him "known from one end of this country to the other"
This block, spanning Chestnut from College to Broadway, is where Jacob Goetz's lifelong friend and business partner Harry F. Baer built his home in 1888. We know the two friends spent plenty of time at this location in the 1910s and 20s. 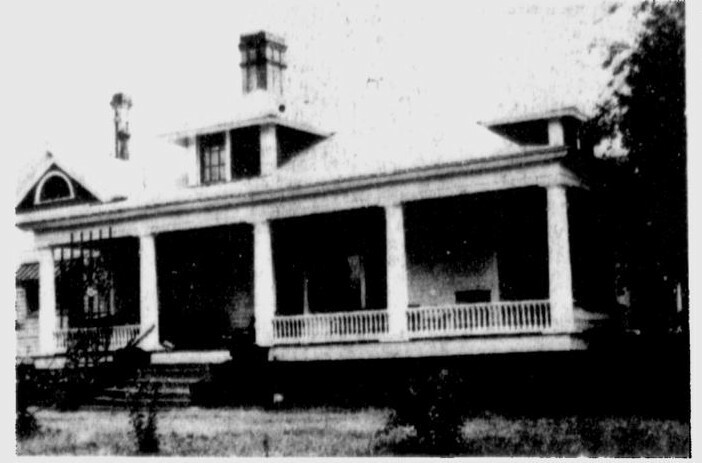 Baer's house fell into disrepair after his death, and the home was condemned in 1973. The creation of Dutch Jake's Park returned this lot to its preferred role: a gathering place for the neighborhood, and a celebration of its most famous citizens. 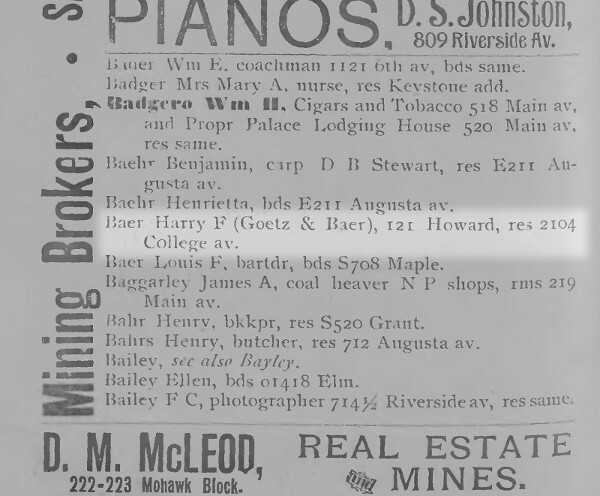 The German-born mining tycoon Jacob Goetz, better know in Spokane as Dutch Jake, was part of this West Central neighborhood from its beginning. His role in discovering the Bunker Hill and Sullivan mines in Idaho made him his fortune, but his fame came from his generosity and sense of fun. 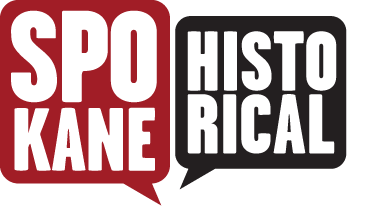 When he opened the Spokane Hotel downtown, he was known to fire a cannon from the rooftop playground during celebrations, and his famous birthday celebrations could last for days. After his death in 1927, former Spokane mayor W. J. Hindley said that Goetz's "capacity for friendship and his charity" had made him "known from one end of this country to the other." If that doesn't earn him a place in the city's memory, then maybe this mini-park on an extended lot in West Central will. Neighbors of the park insisted that the city council name it in Goetz's honor, refusing to even submit a list of alternative names. 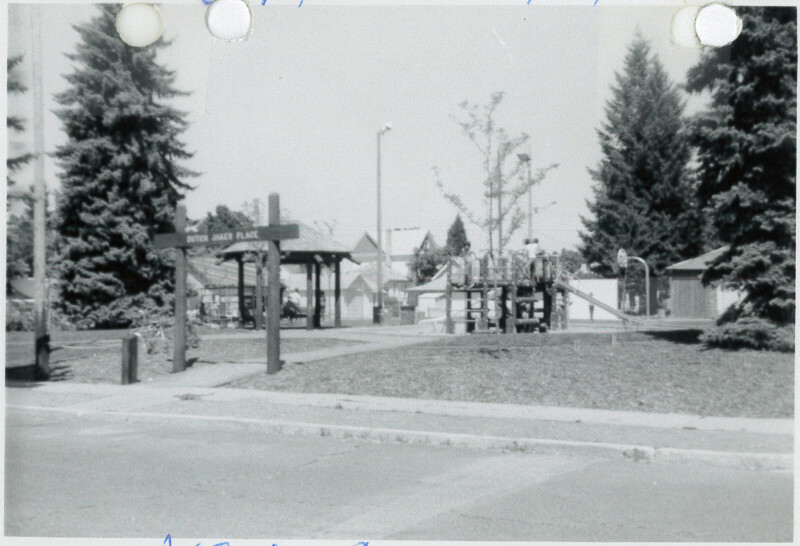 Construction of Dutch Jake's Park began in April of 1976. The city put a community development grant towards the construction, but members of the community also donated more than $17,000 in labor and materials. The park was dedicated in July of 1976, in a ceremony attended by Goetz's daughter, Helen Goetz Edmunds. 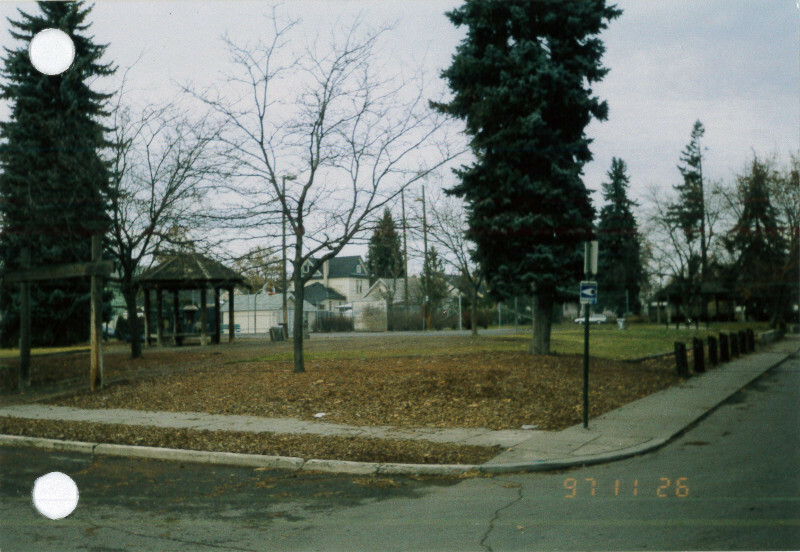 Though it is one of the city's smaller parks, Dutch Jake Park features a basketball court, a playground, and a picnic area. The playground originally included a rocking burro, in homage to Goetz's burro, which he said was the "real" discoverer of the Bunker Hill mine. West Central today is a diverse and changing neighborhood, and this park is one of its few public spaces. The park is bordered by relatively low-income neighborhoods, but stands just a block from the more affluent new Kendall Yards development. A news segment in 2013 named it one of the city's most dangerous parks, citing increasing calls for police intervention in the neighborhood, but the park is also used regularly by local families. As of this writing, the park is the focus of neighborhood council plans to beautify the neighborhood and improve safety. 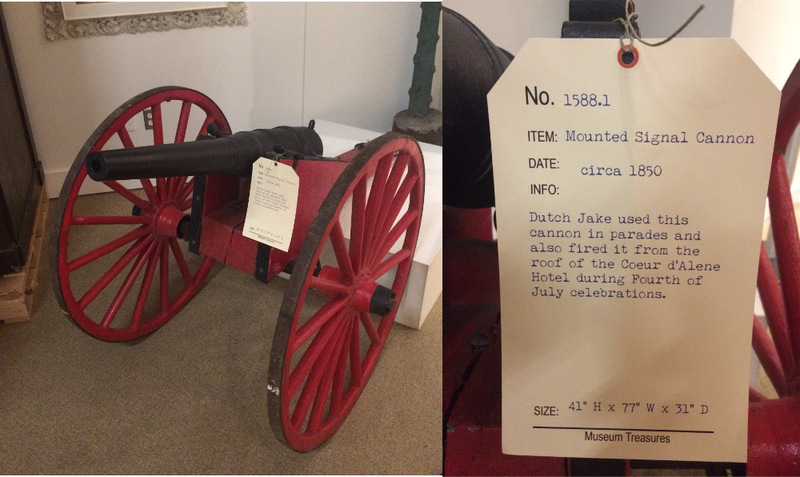 Charlie Byers, “Dutch Jake's Park,” Spokane Historical, accessed April 24, 2019, https://spokanehistorical.org/items/show/605. Rowland Bond, “Week-long Goetz wedding party a real blast,” Spokane Daily Chronicle, October 7th, 1972. Edwin W. Coker, Jr., “It’s a park,” Spokesman-Review, July 14th, 1976. Jack Roberts, “Board votes (dubiously) for ‘Dutch Jake’s Park’,” Spokesman-Review, April 9th, 1976. KREM, “Authorities reveal seven most dangerous Spokane area parks,“ http://legacy.krem.com/story/news/2014/10/02/15105296/ “Spokane’s Newest Park,” Spokesman-Review, April 19th, 1976.